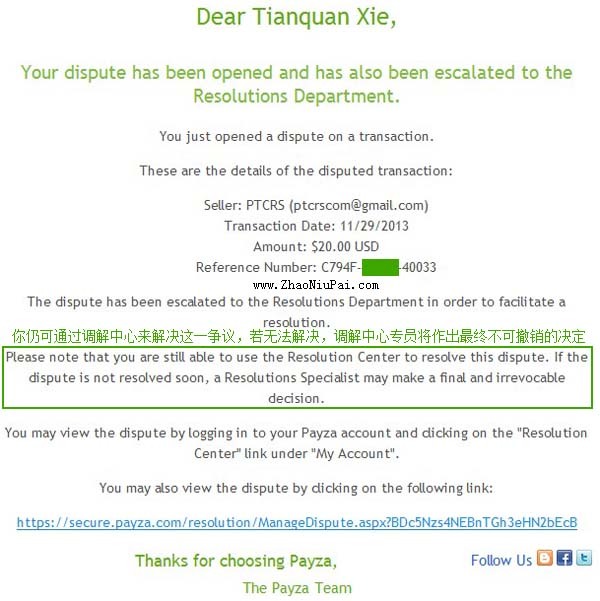 I bought 6 months Golden membership from PTCRS(www.ptcrs.com) in 11/29/2013, but now they no longer provides its service. 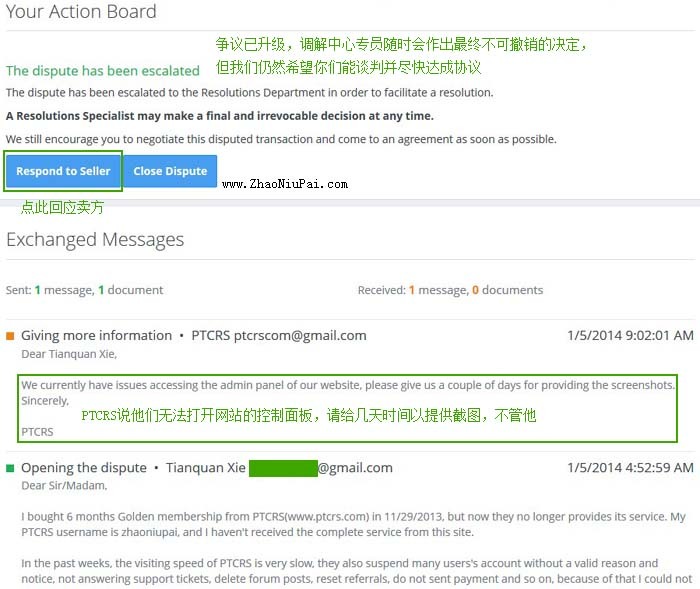 My PTCRS username is zhaoniupai, and I haven't received the complete service from this site. 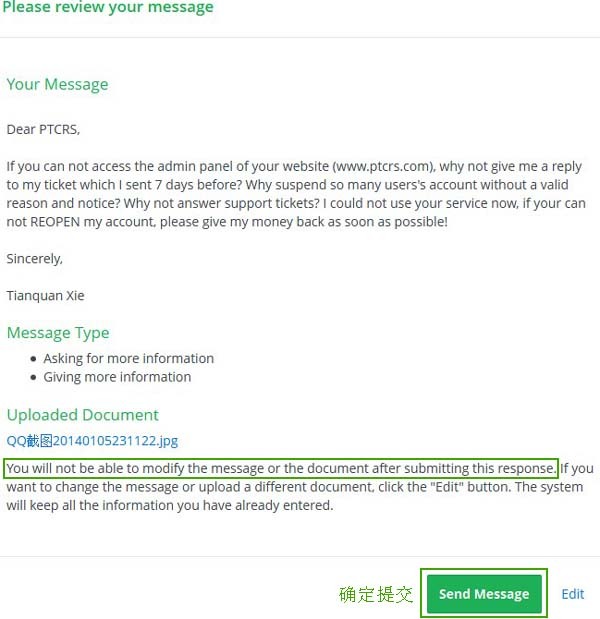 In the past weeks, the visiting speed of PTCRS is very slow, they also suspend many users's account without a valid reason and notice, not answering support tickets, delete forum posts, reset referrals, do not sent payment and so on, because of that I could not use the service provided by PTCRS. 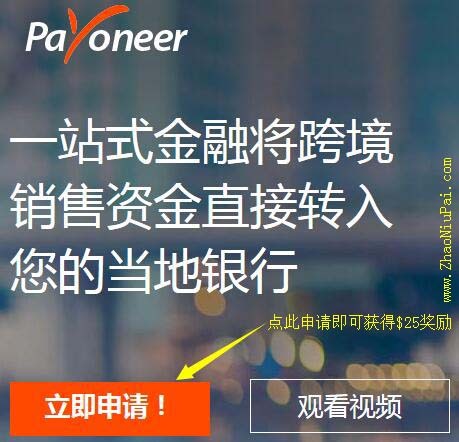 I think it's a scam site and I'm cheated by the Admin of PTCRS.I think the only way to stop the Admin of PTCRS from cheating people is to limit his Payza account. 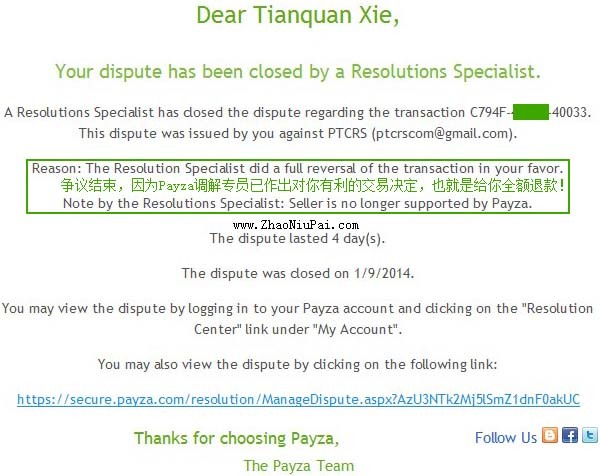 Moreover, as one of the victims of his scam site, I think I have the right to get back my money purchased to PTCRS. 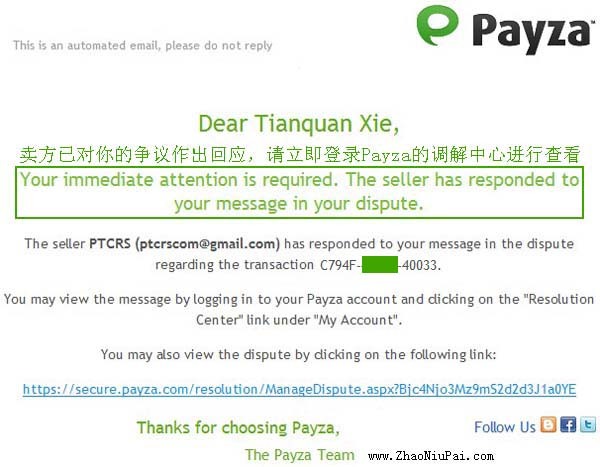 Payza, I need your help to receive the justice. 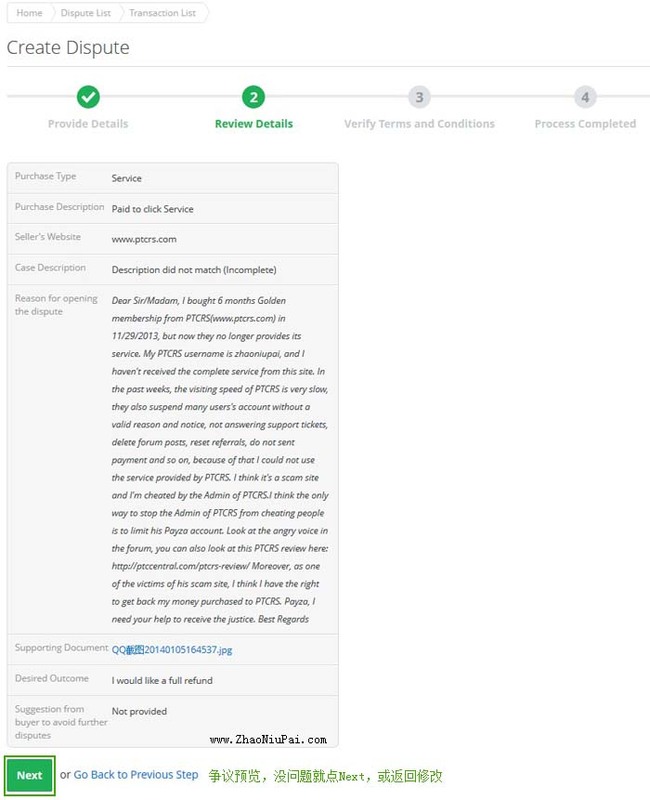 Resolutions Department: In order to justify the denial of a refund, we require the seller to submit proof that service was received by the buyer. 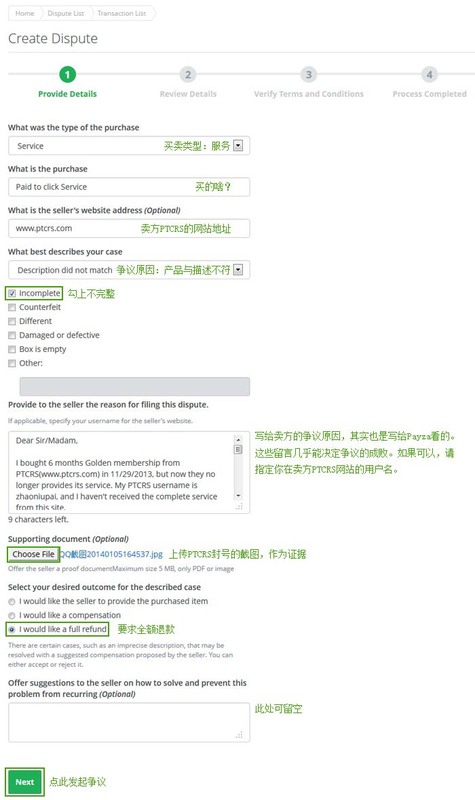 Proof must be submitted in the form of a screenshot of the seller's admin panel and must show the buyer's login email, IP address, and/or bandwidth usage. Time limit is 2 days. 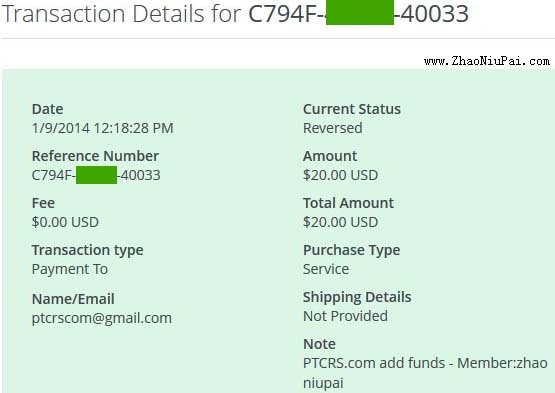 If you can not access the admin panel of your website (www.ptcrs.com), why not give me a reply to my ticket which I sent 7 days before? 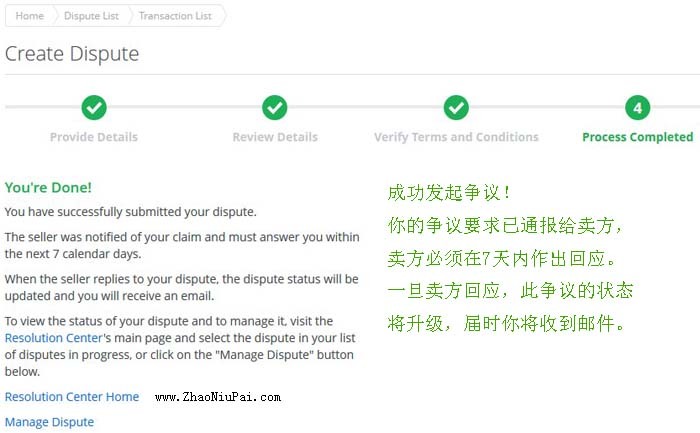 Why suspend so many users's account without a valid reason and notice? 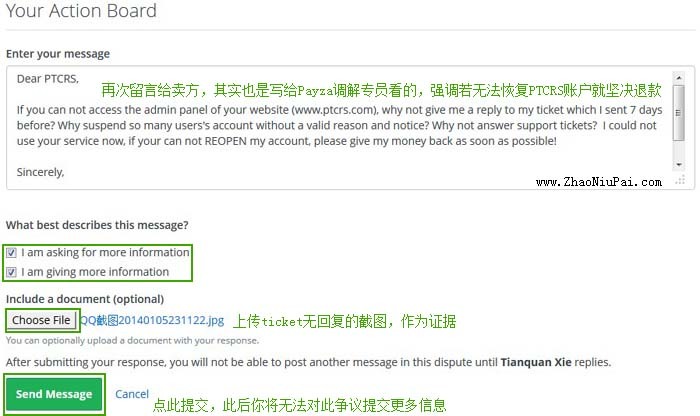 Why not answer support tickets? I could not use your service now, if your can not REOPEN my account, please give my money back as soon as possible!